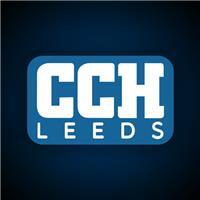 CCH Leeds Ltd - Central Heating Engineer, Plumber based in Guiseley, West Yorkshire. My name is Allen, thank you for looking at CCH Leeds Ltd. We are a small company that prides itself on customer service and putting the customer first. I have personally been working with boilers and central heating for over 28 years and I have previously worked for British Gas as an engineer. Apprentice Trained Gas Engineer with over 28 years experience. I am Gas Safe registered and fully insured. I offer free estimates and friendly advice and I look forward to hearing from you. For more information, please visit my website or Facebook page.